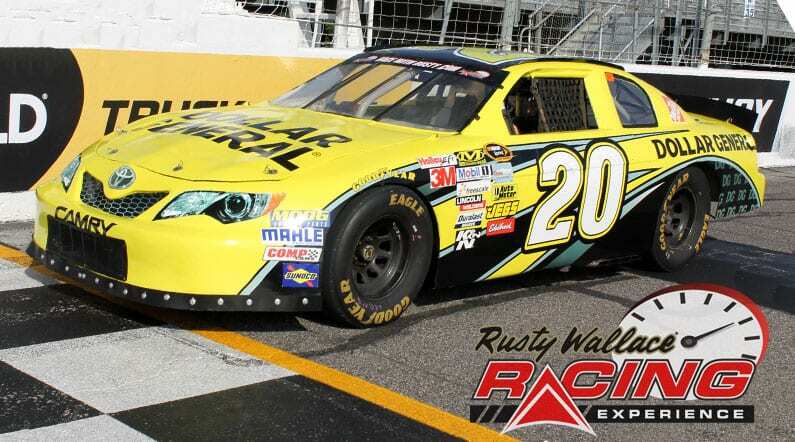 Choose your Michigan International Speedway Driving Experience or Ride Along Experience to begin booking. If you’re giving as a gift or are unsure about a date, you can purchase a gift voucher and you or the recipient will have 90 days to return to the website or call 855-227-8789 and book a date. 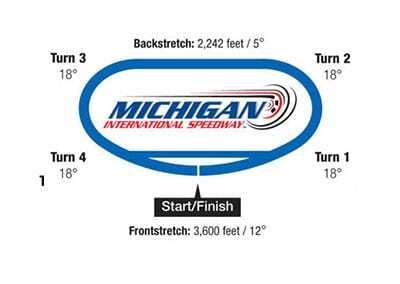 Michigan International Speedway opened in 1968 with a total capacity of 25,000 seats. Over 2.5 million yards of dirt were loaded and moved to form the D-shaped oval track. In 2000 10,800 seats were added in the turn three grandstands bringing the speedway to its current capacity of 108,000. A 3-story viewing tower which houses the Champions Club presented by AAA along with 16 corporate suites, and a state-of-the-art press box make for an expansive race operations facility high above the 2-mile track. Michigan International Speedway is slated to repaved in 2012. We send out email promotions for individual tracks as well as nationwide. If you would to be included for future promotions, please enter your email below. You will receive any email promotions for Michigan International Speedway as well as Nationwide promotions. You can opt out at anytime. If you would like to receive specific promotions for any other track, please visit that track’s page and submit your email for that track.